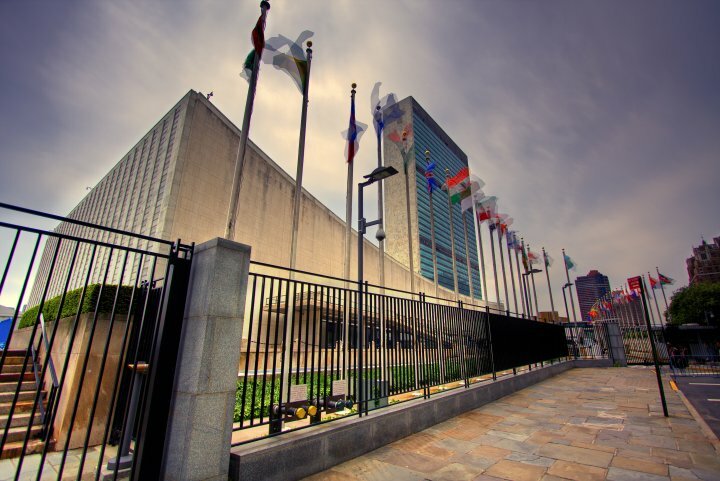 Time – At this year’s United Nations General Assembly (UNGA), an annual meeting where dignitaries from 193 nations gather in New York City, world leaders are expected to discuss a number of conflicts with implications for global health, including climate change and the ongoing refugee crisis. The theme of this year’s UNGA General Debate—where world leaders, including President Donald Trump, will deliver statements on issues of international concern— is “Focusing on People: Striving for Peace and a Decent Life for All on a Sustainable Planet.” While the debate officially kicks off on Tuesday, much of the action happens outside the main halls, where experts and leaders share solutions to pressing problems and often invite the public to observe or participate. Here are the health topics likely to make waves at this year’s meeting. An estimated 400 million people around the world lack access to one or more essential health services. On Monday, leaders from Japan, France, Thailand and Senegal, as well as groups like the WHO and World Bank, will meet to discuss how countries are moving towards universal health coverage, and ways that the UN is providing support. Climate change and its impact on health will also be a prominent topic of discussion at the conference. On Sept. 15, the United Nations released a report revealing that after decades of steady declines, global hunger is on the rise: 815 million people were affected by hunger worldwide in 2016, which is 38 million more people than in 2015. Climate change and the spread of violent conflict are two reasons for the increase, the report says. Yet the link between climate change and public health isn’t well understood, even among world leaders and people in medicine. There is still “a lot that needs to be done,” says Patricia Espinosa, the executive secretary of the United Nations Framework Convention on Climate Change. At last year’s UNGA, antibiotic resistance was called a “major global threat” by world leaders during a high-level meeting on the issue. (Last year marked only the fourth time in history that the heads of state have met to discuss a health problem.) While superbugs are not on the formal agenda this year, leaders will meet on Thursday to discuss what progress has been made since last year, when leaders committed to developing action plans for their countries. The UN has cited estimates that if nothing changes, the number of people who die from antibiotic-resistant infections will reach 10 million a year in 2050. The U.S.’s stance on health has changed somewhat since last year’s meeting. Health care reform remains stunted. Earlier this year, the U.S. made the decision to reinstate the Mexico City Policy (also referred to as the global gag rule by opponents), which prohibits foreign aid from the U.S. to be given to any nongovernmental organization (NGO) abroad that discusses abortion as a family-planning option. The U.S. has also placed a substantially lower cap on the number of refugees allowed to enter the U.S. and exited the Paris Agreement on climate change in June. Still, UN leaders say they expect the U.S. to continue to engage in these issues, even if not always on the federal level.